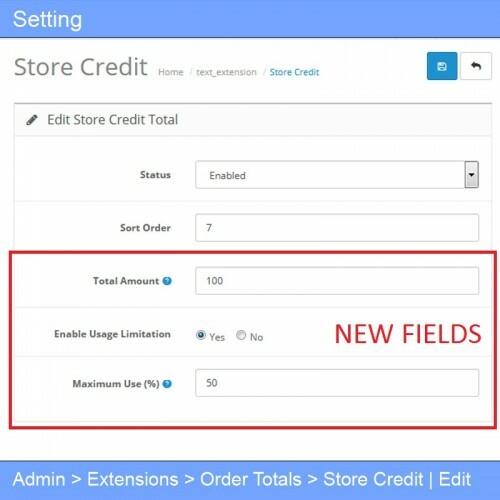 Store credit, as the default OpenCart order total module, on its use will take all available customer's balance (store credit amount). There is no maximum limit on its use. So, for example, when available store credit is more than sub-total amount, it will make a zero payment. 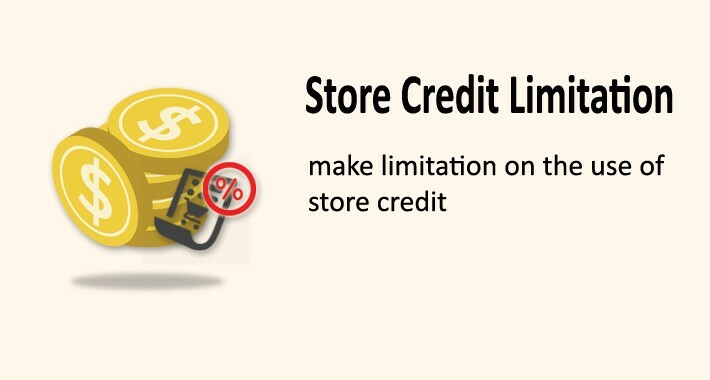 For store owners who don't want case like that, with this module, the use of store credit will have maximum limit. And this maximum limit is calculated from sub-total amount. In other words, store owners can define how much (in percent from sub-total amount) maximum store credit that will be taken / can be used. And the other is activation limit. Store owners can define the total amount to be achieved before store credit is active. If empty or zero, then store credit will always be active. Maximum limit is calculated from sub-total amount. For users of Advance Store Credit [link], sub-total amount is sub-total amount (without adding other order total modules amount). To find out how it works, you can go to the demo page. 2. Make an order above or equal to $ 100. 3. 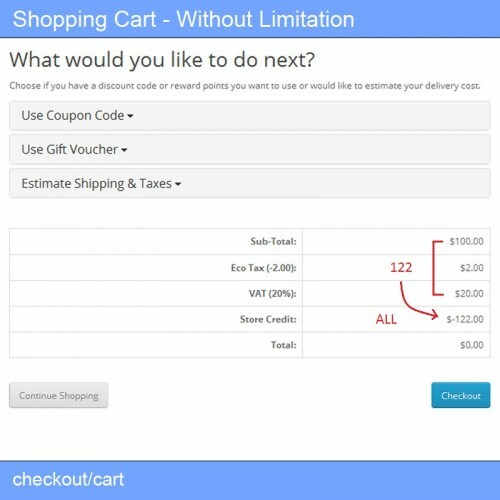 Go to your shopping cart page or do checkout until the last step (step 6: confirm order). 4. See your total details. 5. You can see that the use of 'store credit' is in accordance with the limit defined (50%). * You can try to make an order below $ 100, then store credit is not active. To find out how the setting, you can go to the admin demo page. 'Total Amount' is the total amount that must be reached before the store credit can be used (active). 'Enable Usage Limitation' is to activate the limitation.